Bleeps ‘n’ Bloops is a cool new Game Audio podcast started by Jim Welch, Dave Shumway, and Alyssa Galindo to discuss game audio news, current events, gear, and interviews with industry folks. I recently skyped in to the Bleeps ‘n’ Bloops Podcast for the interview segment. Tired of having to pay a bunch of cash for great plug-ins??? GREAT NEWS! The good people at Eventide have provided a code and link to download the Eventide ULTRACHANNEL for FREE!!!! The Eventide ULTRACHANNEL is an excellent plug-in at any price. It includes everything a basic channel strip needs and more. For starters it has a gate, de-esser, eq and compressor, but that’s not all. 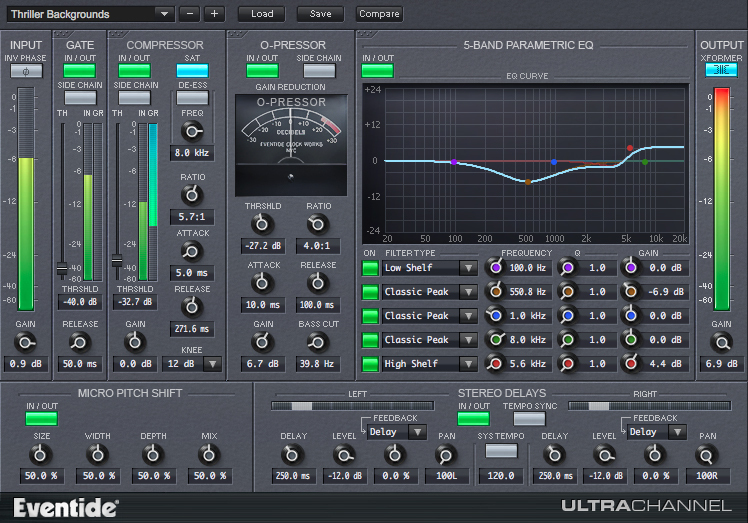 It also includes the same compressor as the compressor section in their $150 Omnipressor plug-in! On top of that it has a stereo delay for widening or effects. The last little bit is a micro-pitch shift section to thicken up the sound and widen it even more. This is one of my favorite tricks to use when a vocal needs more space in a mix. I currently use Soundtoys Little Microshift, which I believe was all based on this Eventide effect in the H3000 hardware units. CLICK HERE TO DOWNLOAD THE EVENTIDE ULTRACHANNEL PLUG IN! Note: You will need an iLok to authorize the plug-in even though it’s free. Once you’ve entered your iLok, Email, and the Coupon Code at the bottom of the page I linked to you will get an email with a link to download the plug-in for FREE! Thanks to Eventide for such a nice gift to the community! Share it around and show them how much you appreciate it. 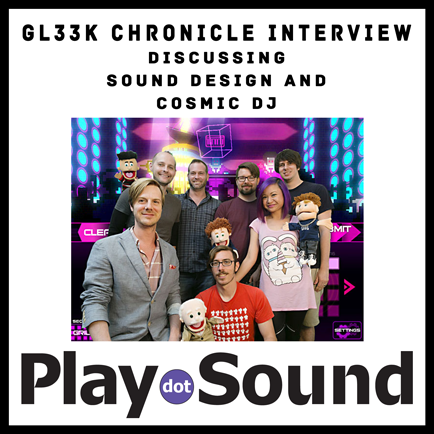 The Austin Chronicle recently interviewed the Game Audio Crew over at Gl33k to discuss sound design and creating their audio game titled Cosmic DJ! Check out the interview over on the Chronicle’s website. Click HERE or on the image above to read the article! Ever had a chance to get a GREAT job, go through the interview, and never get a call back? What could POSSIBLY have gone wrong? Well, here are some possibilities! Jesse Harlin, composer at Dunderpate Music, has done many interviews in his time as a composer, including interviewing me for my job at LucasArts. 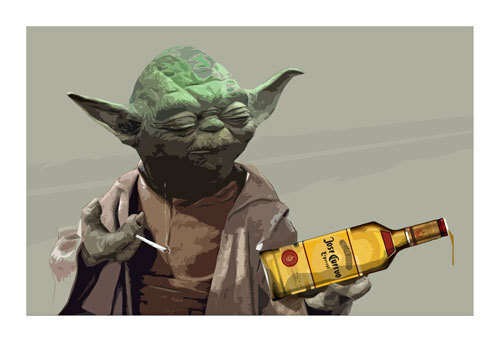 I also saw him interview people for lots of audio jobs at LucasArts while I worked there and it still existed. Jesse recently gave a talk at the 2014 GDC called “Why You Didn’t Get The Gig” providing insights to anyone trying to get through the interview process successfully. Some of these things seem so obvious, and yet I’ve also seen these happen and some that went EVEN WORSE. These videos were created by the game audio team at http://www.gl33k.com for a GDC 2014 talk entitles “Why You Didn’t Get The Job” given by Jesse Harlin ofhttp://www.dunderpatemusic.com/. I hope you learned a thing or two from other people’s mistakes!